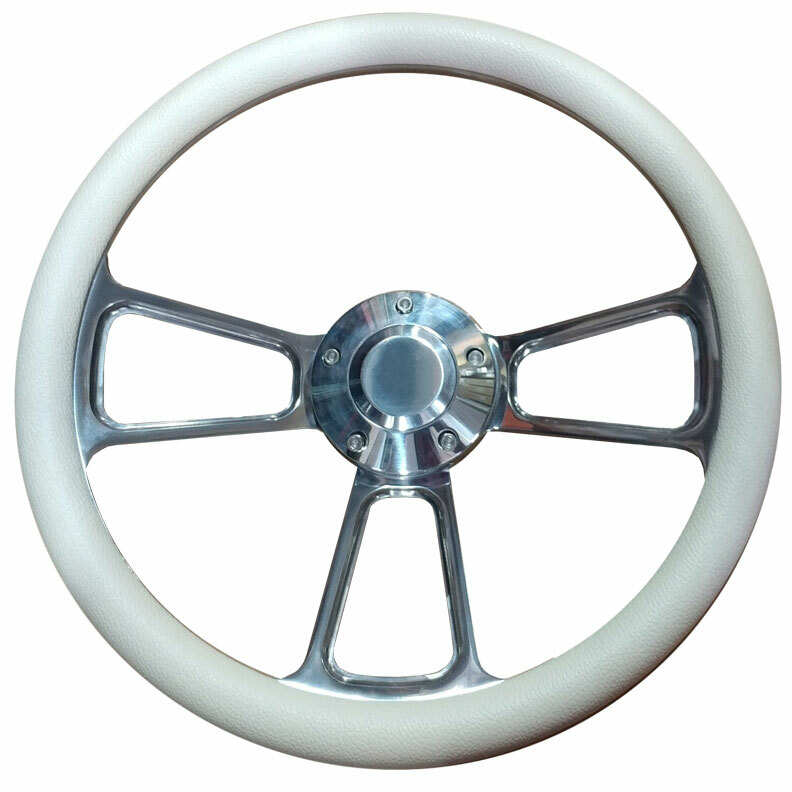 This new Polished Billet Aluminum Steering Wheel features an interchangeable vinyl front wrap!! This is a great quality steering wheel. The vinyl half wrap is bolted to the billet steering wheel and can be changed out if you decide to go to another color or upgrade it to a wood wrap. This wheel includes the adapter and hub assembly to mount it to your factory or tilt steering column. The cream colored vinyl wrap on this wheel is a great option if you are running the factory front parchment seats or our new TBP Parchment Premium Bucket Seats. Steering wheel is 13.75" diameter. These wheels no longer come with Bronco script horn button.